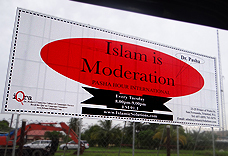 Some of us decided to organize Listening Groups — or Discussion Groups — to listen to portions of Pasha Hour International prerecorded programs. Not a bad idea, in fact, I should think. How did people react when they listened to portions of Pasha Hour International? Were there any reactions at all? How many people were there listening? How many men? How many women? How many children? Did they appear interested or did they act like they were bored or distracted? And a host of other similar questions. Let me give an example to show why this is important. Consider this. We opened a shop to sell potatoes. At the end of the day, after we close shop and go home, will we talk to anyone about how many people came? How many potatoes we sold? How much money we made? How much money we lost? How many rotten potatoes we had to throw away? And what possibly we may or may not do different the next day? Or will we just curl up and go to sleep and never talk about it to anyone, till SOMEONE ELSE talks to us about it? That, ladies and gentlemen, is the difference between “Doing things for ourselves” and “Doing things for Allah“! The day we start doing things for Allah the same way as we do things for ourselves, or better, we will change this world. We will make this world a better place — For All. And that is precisely what the Qur’an came to tell us to do! And that is precisely what Prophet Muhammad, Sallallahu Alaihi wa Sallam, showed us how to do! If the potato shop example is not quite clear, let me give another example: What about the College Entrance Examination you took yesterday? Will you ever be anxious about it inside yourself? And will you share that anxiety in some form with others? And will you buy a newspaper or sit on your computer to find out the results? Do you think “Islam” deserves less? Or consider this other example — a third one. We submitted an application for this most coveted job in the world. Everybody wants “Jannat,” right? Paradise? It should be somewhat of a coveted place, correct? Otherwise, why would so many people want it? And Jannat real estate should have some kind of a market value, don’t you think? And that market value should be the same as at least the least valuable parts of the land where we live? Or will we say the same as the most valuable parts of the land around us? Wouldn’t we then ever call up to find out what happened to our job application? Just think, people, for, Islam is about thinking? And Islam is for thinking people. At least so says the Qur’an!